​In the next to last week of the 2018 regular season, Mississippi State went 2-2, giving itself a good shot to stay over .500 on the season, but failed to pick up what would’ve been a resume-boosting series win. A series win next weekend puts the Bulldogs in good position for an NCAA at-large bid. The problem? That series is against #1 Florida, who hasn’t lost an SEC series (or any series period) since last April. The work is cut out. But, on to what's more important: the uniforms. In the extra-inning midweek win over Troy in Hoover, the Bulldogs wore the classic White 85 uniforms. It was the first time since the Governor’s Cup that the White 85s had seen the field, and the games shared quite a few similarities. In addition to both being neutral site midweek games in which the Bulldogs wore the White 85s, both games included State blowing leads in the top of the 9th only to come back with walk-off wins. 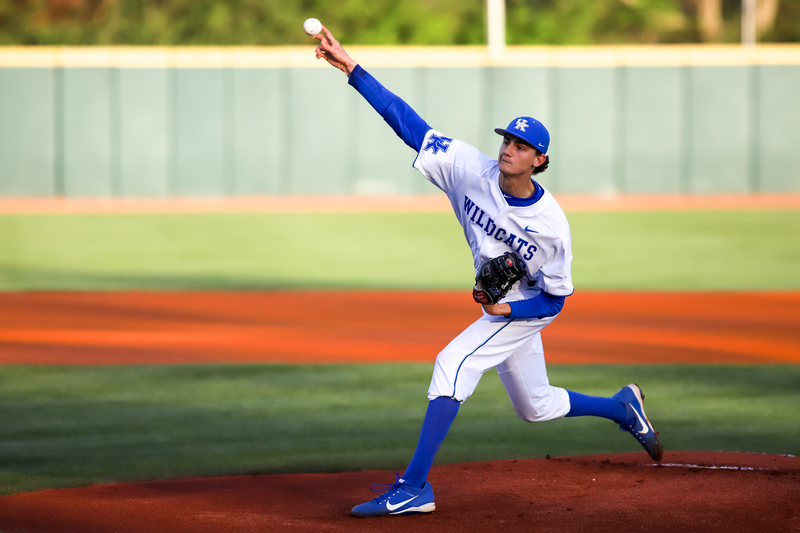 The weekend series at Kentucky started off on Friday as the Bulldogs wore the Maroon 85 over White look and fell to the Wildcats, who were wearing their basic but solid all-white look. Saturday’s game featured an all-pinstripe matchup, the second in two weeks for State. 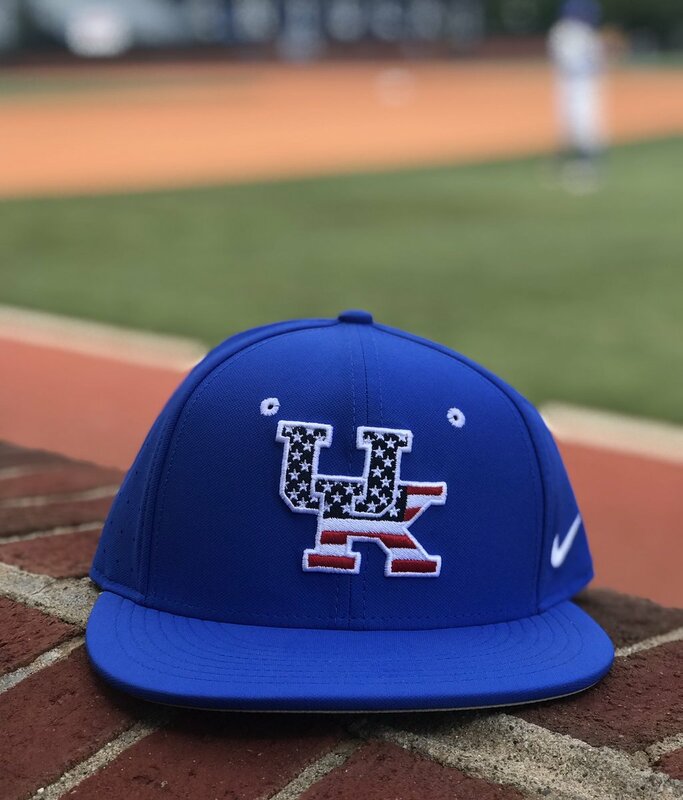 Like State’s gray pins, Kentucky’s new white pins look really good; they were worn with patriotic hats in Saturday’s game. It was of the better uniform matchups of the year involving State, and definitely the best of the week. 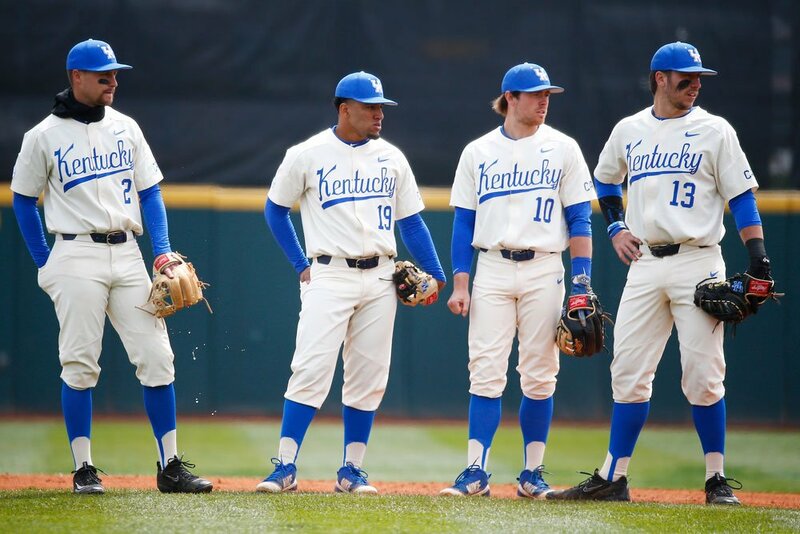 On Sunday, Kentucky wore their really, really nice cream script throwback uniforms. Of course, State countered with the All-Black 85s for the 6th straight Game 3. If you ever wanted concrete evidence that winning the uniform matchup doesn’t correlate with winning the actual game, I don’t think you’re going to find a better example: State’s offense exploded and the Bulldogs won 18-8, preventing what would’ve been a painful sweep.